CVT with Xtronic. 2019 Nissan Altima 2.5 S Glacier White FWD CVT with Xtronic 2.5L 4-Cylinder At STAR Nissan, our team is committed to making your car buying experience easy, transparent and hassle-free. We do it your way! Call, email, text us or simply stop by today! Text STN190543 to 639227 to opt-in to receive more information. CVT with Xtronic. 2019 Nissan Altima 2.5 S Brilliant Silver Metallic FWD CVT with Xtronic 2.5L 4-Cylinder At STAR Nissan, our team is committed to making your car buying experience easy, transparent and hassle-free. We do it your way! Call, email, text us or simply stop by today! Text STN190338 to 639227 to opt-in to receive more information. CVT with Xtronic. 2019 Nissan Altima 2.5 S Gun Metallic AWD CVT with Xtronic 2.5L 4-Cylinder At STAR Nissan, our team is committed to making your car buying experience easy, transparent and hassle-free. We do it your way! Call, email, text us or simply stop by today! Text STN190547 to 639227 to opt-in to receive more information. CVT with Xtronic. 2019 Nissan Altima 2.5 S Brilliant Silver Metallic AWD CVT with Xtronic 2.5L 4-Cylinder At STAR Nissan, our team is committed to making your car buying experience easy, transparent and hassle-free. We do it your way! Call, email, text us or simply stop by today! Text STN190473 to 639227 to opt-in to receive more information. CVT with Xtronic. 2019 Nissan Altima 2.5 SR Super Black FWD CVT with Xtronic 2.5L 4-Cylinder At STAR Nissan, our team is committed to making your car buying experience easy, transparent and hassle-free. We do it your way! Call, email, text us or simply stop by today! Text STN190479 to 639227 to opt-in to receive more information. CVT with Xtronic. 2019 Nissan Altima 2.5 SR Pearl White FWD CVT with Xtronic 2.5L 4-Cylinder At STAR Nissan, our team is committed to making your car buying experience easy, transparent and hassle-free. We do it your way! Call, email, text us or simply stop by today! Text STN190066 to 639227 to opt-in to receive more information. CVT with Xtronic. 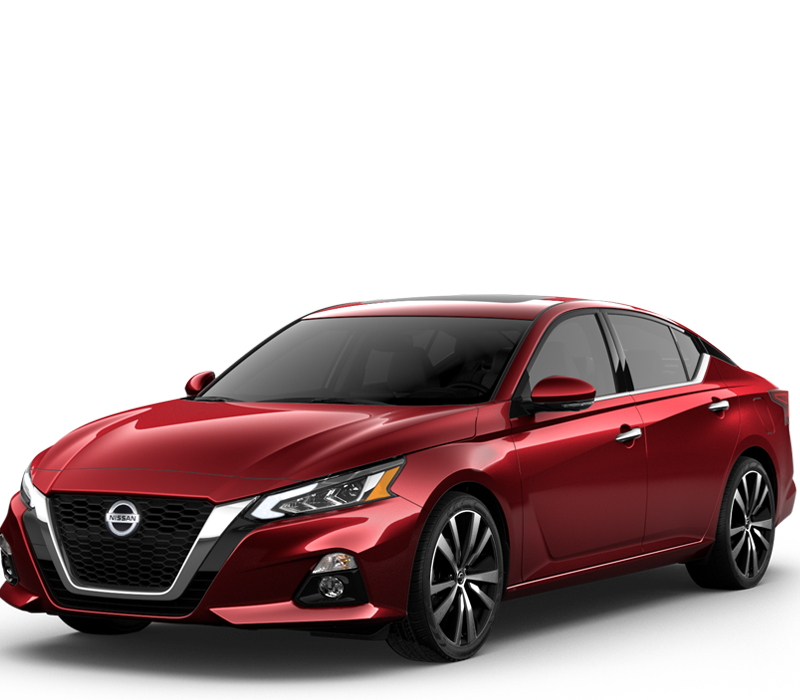 2019 Nissan Altima 2.5 SR Scarlet FWD CVT with Xtronic 2.5L 4-Cylinder At STAR Nissan, our team is committed to making your car buying experience easy, transparent and hassle-free. We do it your way! Call, email, text us or simply stop by today! Text STN190553 to 639227 to opt-in to receive more information. CVT with Xtronic. 2019 Nissan Altima 2.5 SR Super Black FWD CVT with Xtronic 2.5L 4-Cylinder At STAR Nissan, our team is committed to making your car buying experience easy, transparent and hassle-free. We do it your way! Call, email, text us or simply stop by today! Text STN190411 to 639227 to opt-in to receive more information. CVT with Xtronic. 2019 Nissan Altima 2.5 SR Super Black FWD CVT with Xtronic 2.5L 4-Cylinder At STAR Nissan, our team is committed to making your car buying experience easy, transparent and hassle-free. We do it your way! Call, email, text us or simply stop by today! Text STN190380 to 639227 to opt-in to receive more information. CVT with Xtronic. 2019 Nissan Altima 2.5 SR Pearl White FWD CVT with Xtronic 2.5L 4-Cylinder At STAR Nissan, our team is committed to making your car buying experience easy, transparent and hassle-free. We do it your way! Call, email, text us or simply stop by today! Text STN190362 to 639227 to opt-in to receive more information. CVT with Xtronic. 2019 Nissan Altima 2.5 SV Brilliant Silver Metallic FWD CVT with Xtronic 2.5L 4-Cylinder At STAR Nissan, our team is committed to making your car buying experience easy, transparent and hassle-free. We do it your way! Call, email, text us or simply stop by today! Text STN190289 to 639227 to opt-in to receive more information. CVT with Xtronic. 2019 Nissan Altima 2.5 SR Deep Blue Pearl AWD CVT with Xtronic 2.5L 4-Cylinder At STAR Nissan, our team is committed to making your car buying experience easy, transparent and hassle-free. We do it your way! Call, email, text us or simply stop by today! Text STN190190 to 639227 to opt-in to receive more information. CVT with Xtronic. 2019 Nissan Altima 2.5 SV Super Black FWD CVT with Xtronic 2.5L 4-Cylinder At STAR Nissan, our team is committed to making your car buying experience easy, transparent and hassle-free. We do it your way! Call, email, text us or simply stop by today! Text STN190269 to 639227 to opt-in to receive more information. CVT with Xtronic. 2019 Nissan Altima 2.5 SV Brilliant Silver Metallic FWD CVT with Xtronic 2.5L 4-Cylinder At STAR Nissan, our team is committed to making your car buying experience easy, transparent and hassle-free. We do it your way! Call, email, text us or simply stop by today! Text STN190195 to 639227 to opt-in to receive more information. CVT with Xtronic. 2019 Nissan Altima 2.5 SV Blue Metallic FWD CVT with Xtronic 2.5L 4-Cylinder At STAR Nissan, our team is committed to making your car buying experience easy, transparent and hassle-free. We do it your way! Call, email, text us or simply stop by today! Text STN190067 to 639227 to opt-in to receive more information. CVT with Xtronic. 2019 Nissan Altima 2.5 SV Blue FWD CVT with Xtronic 2.5L 4-Cylinder At STAR Nissan, our team is committed to making your car buying experience easy, transparent and hassle-free. We do it your way! Call, email, text us or simply stop by today! Text STN190038 to 639227 to opt-in to receive more information. CVT with Xtronic. 2019 Nissan Altima 2.5 SV Gun Metallic FWD CVT with Xtronic 2.5L 4-Cylinder At STAR Nissan, our team is committed to making your car buying experience easy, transparent and hassle-free. We do it your way! Call, email, text us or simply stop by today! Text STN190389 to 639227 to opt-in to receive more information. CVT with Xtronic. 2019 Nissan Altima 2.5 SV Brilliant Silver Metallic FWD CVT with Xtronic 2.5L 4-Cylinder At STAR Nissan, our team is committed to making your car buying experience easy, transparent and hassle-free. We do it your way! Call, email, text us or simply stop by today! Text STN190291 to 639227 to opt-in to receive more information. CVT with Xtronic. 2019 Nissan Altima 2.5 SV Gun Metallic FWD CVT with Xtronic 2.5L 4-Cylinder At STAR Nissan, our team is committed to making your car buying experience easy, transparent and hassle-free. We do it your way! Call, email, text us or simply stop by today! Text STN190307 to 639227 to opt-in to receive more information. CVT with Xtronic. 2019 Nissan Altima 2.5 SV Gun Metallic FWD CVT with Xtronic 2.5L 4-Cylinder At STAR Nissan, our team is committed to making your car buying experience easy, transparent and hassle-free. We do it your way! Call, email, text us or simply stop by today! Text STN190251 to 639227 to opt-in to receive more information.